Some paint colors never go out of fashion. I believe you can add the soft sea green color to that list. 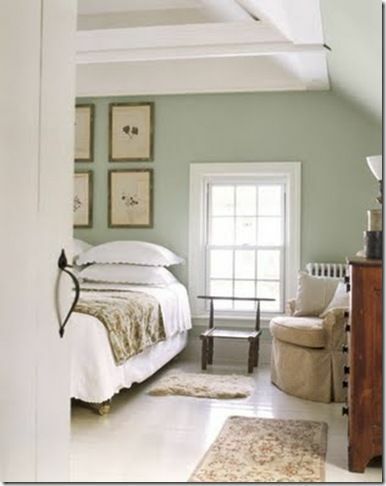 It's refreshing and tranquil and blends well with many interior paint colors from grays to whites. 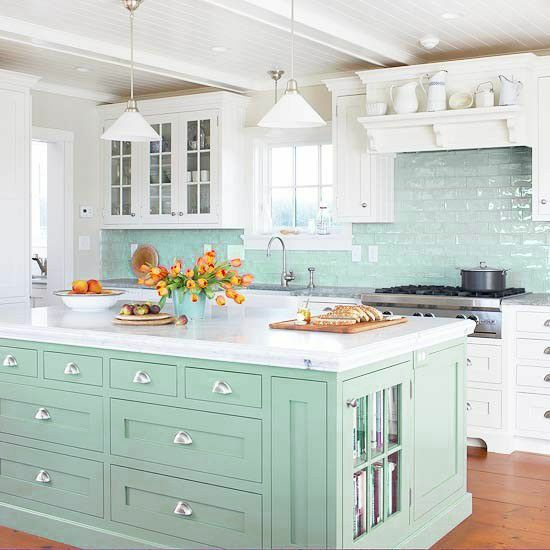 This gorgeous blue green interior paint color is soothing and very stylish. 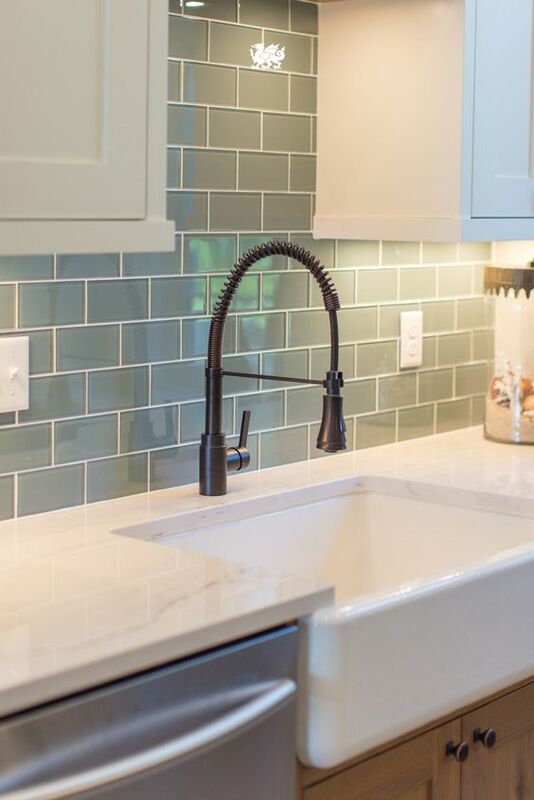 Whether you use it as an accent color or paint entire walls in this sea green color, it has a timeless look that works with many decorating themes. For color accents, add to the back of bookcases or to your kitchen cabinets to create a WOW factor. But you can do so much more with it. From the kitchen and bathroom to the bedroom, this is a flexible color. It has a habit of changing its look with different amounts of natural light, or different colors and styles of furniture in your rooms. While white and gray are a perfect match for a classic beach decor look, warm wood tones or sharp blacks will entirely change your look. 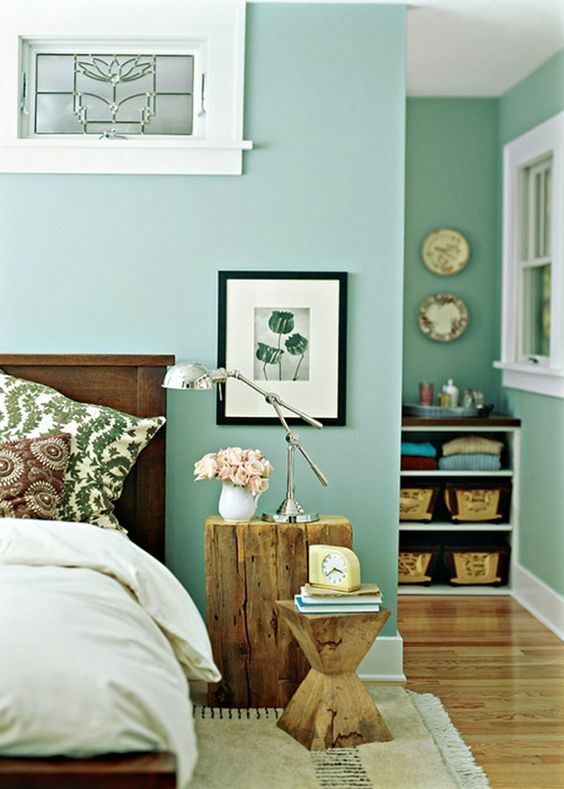 If you have large areas of sea green, break them up with white or warm wood accents. Like the floating shelves below. Click the image below to make these floating shelves. 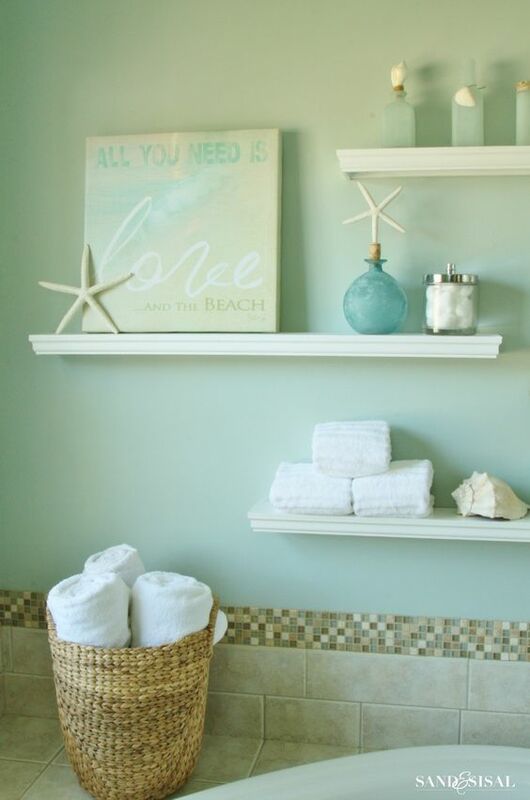 Use this idea in your laundry, mudroom, hallway or bathroom! 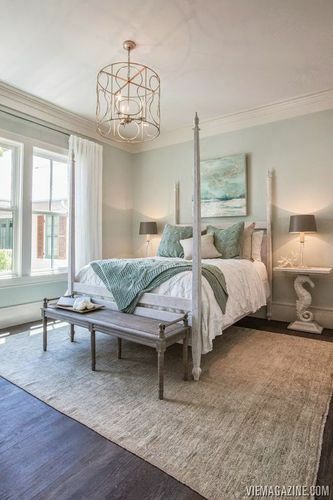 If you are not sure about changing wall paint color or painting major pieces of furniture to sea green, try adding hints of sea green color to your room. 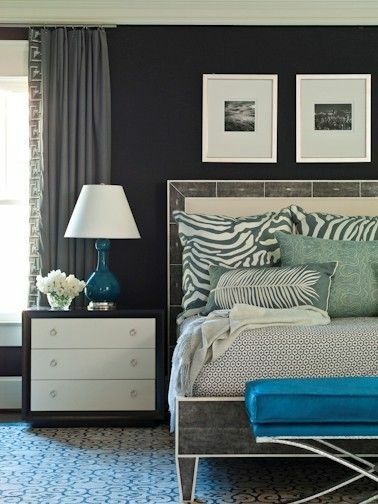 It goes perfectly against dark gray, navy or coffee-colored walls, creating a lively contrast. It also goes well against white walls for a crisper decorating look, and add color pops of daffodil yellow. Gray can sometimes look a little too .. gray... clinical and dull. 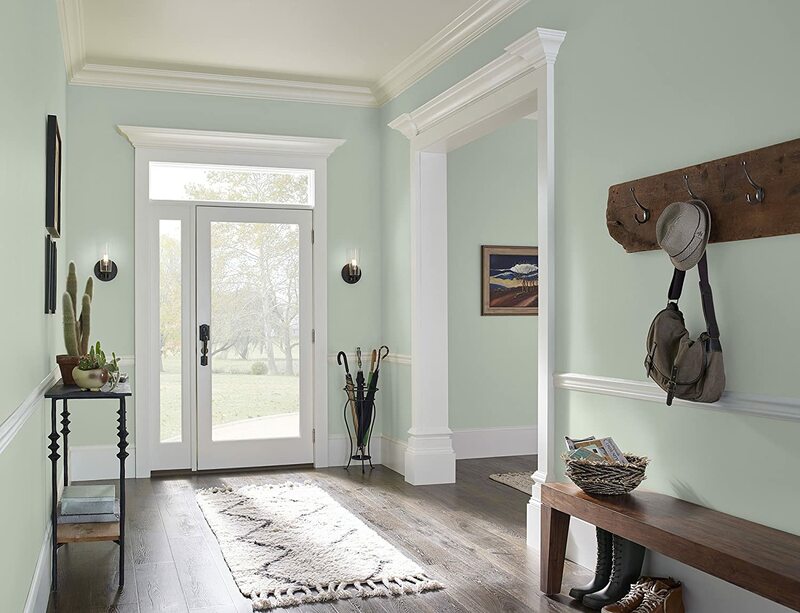 Sea green goes very well with gray walls, uplifting and bringing out the best in your gray. Add touches of it around your room with accessories like cushions, glass ware and linen to give your gray walls some life. It also works well with traditional and classic gold accents found in lamps, mirrors and tables. You can take this cool soft look anywhere, including the kitchen or bedroom. 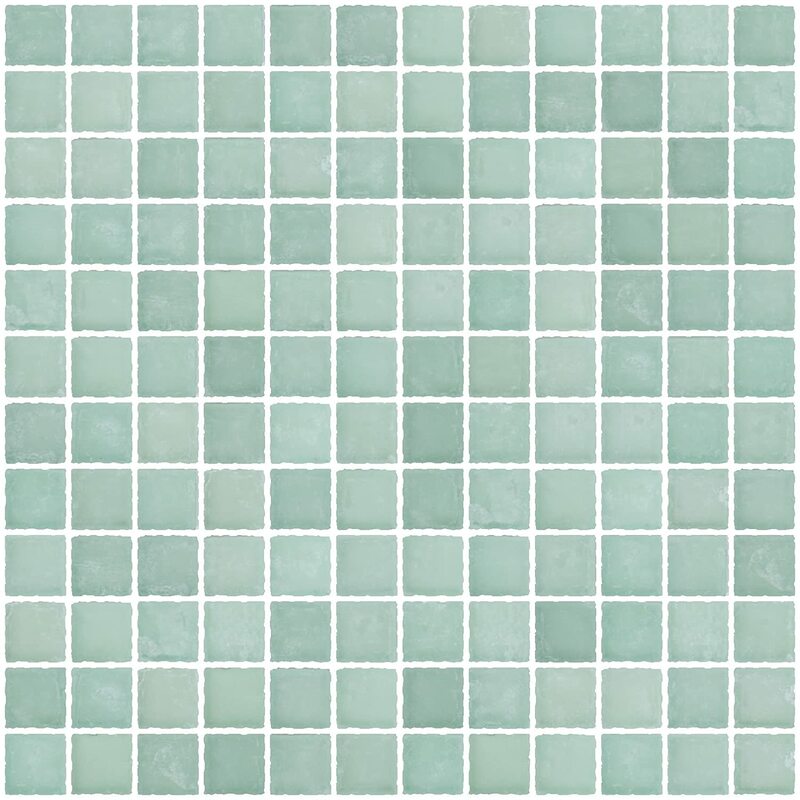 With so many shades of sea green color, you can easily find the right one for your space. 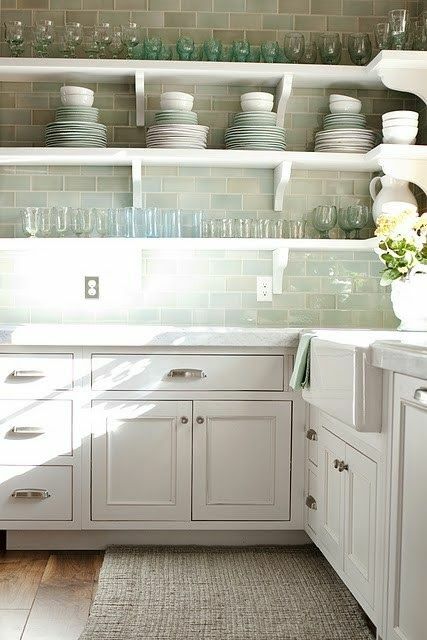 Here it works in a backsplash to break up and accentuate white kitchen counter tops and cabinets. 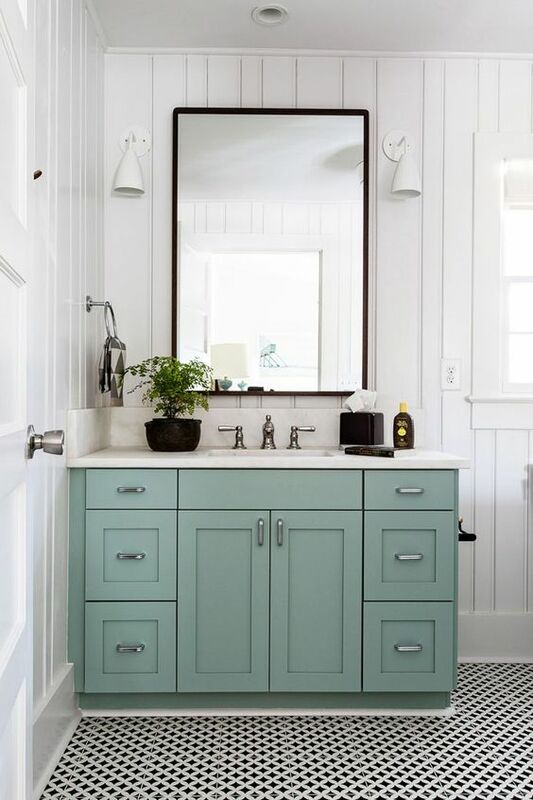 Moving it to the bathroom, this color transports you instantly to the beach; coastal magic that works anywhere from country cottage decor to smart apartment living. Sea green is a wonderful contrast against warm woods. They play off one another beautifully. Add some aged or distressed painted chalk painted furniture for a more rustic or country look. 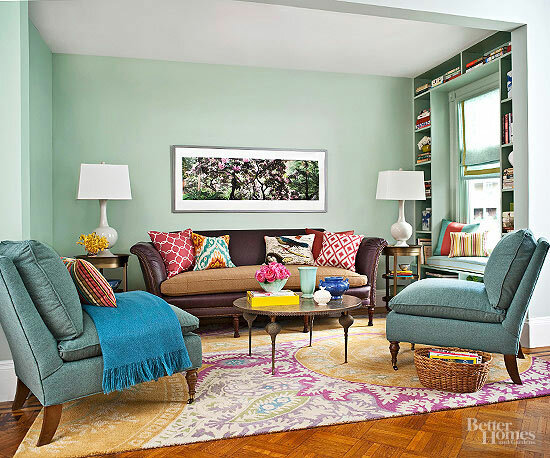 Whether you paint your walls in sea green color, paint a sideboard, or use it on fabric and accessories, this color is worth thinking about. Remember to add warm colors and tones to balance out sea green cooler characteristics. 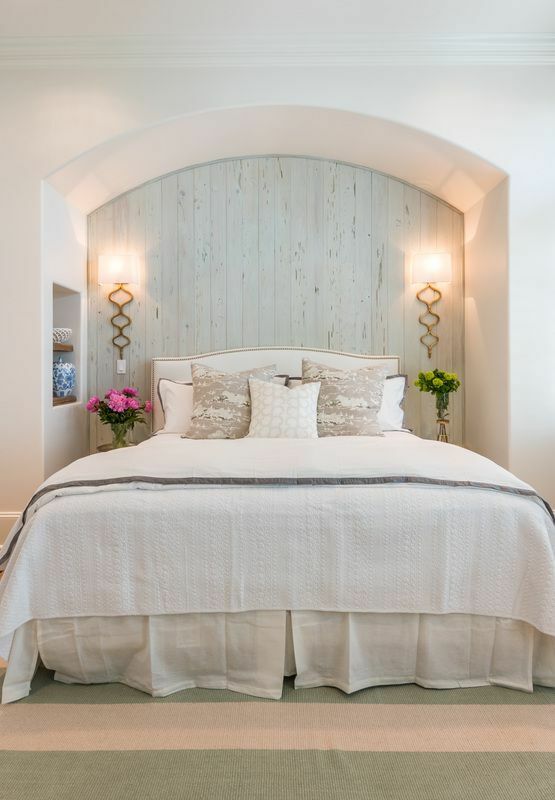 Traditionalists with white walls or blue and white themes can easily add sea blue-green to color palettes to add interest and introduce another easy-to-live with color. If you have any paint colors you would like to share leave a comment below - Find more ideas on our FaceBook page to Share! I was going to paint one wall sea green in my TV room, but my son suggested two walls. Do people paint 2 walls one color and the other 2 a different color? for a feature wall, its normally just one wall.